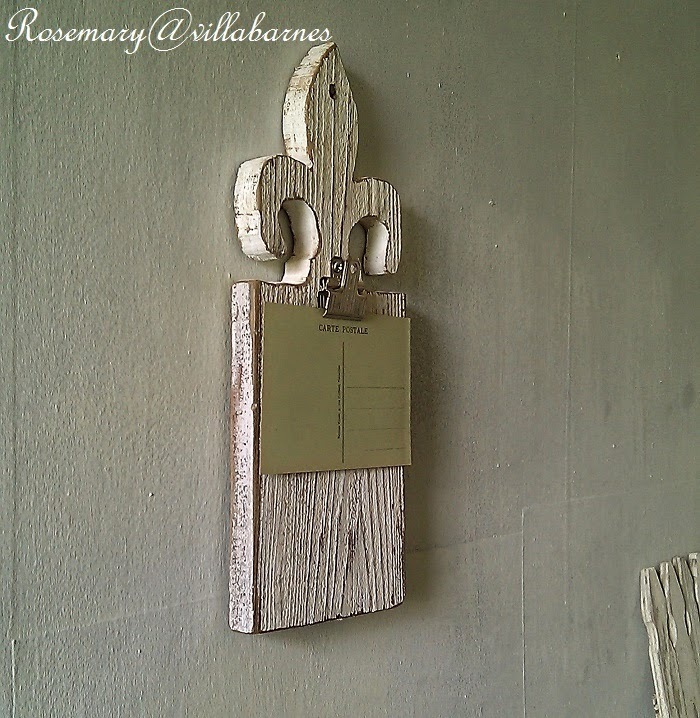 As long as I'm in wood cutting, salvaged wood, fleur-de-lis mode, why not a clipboard. 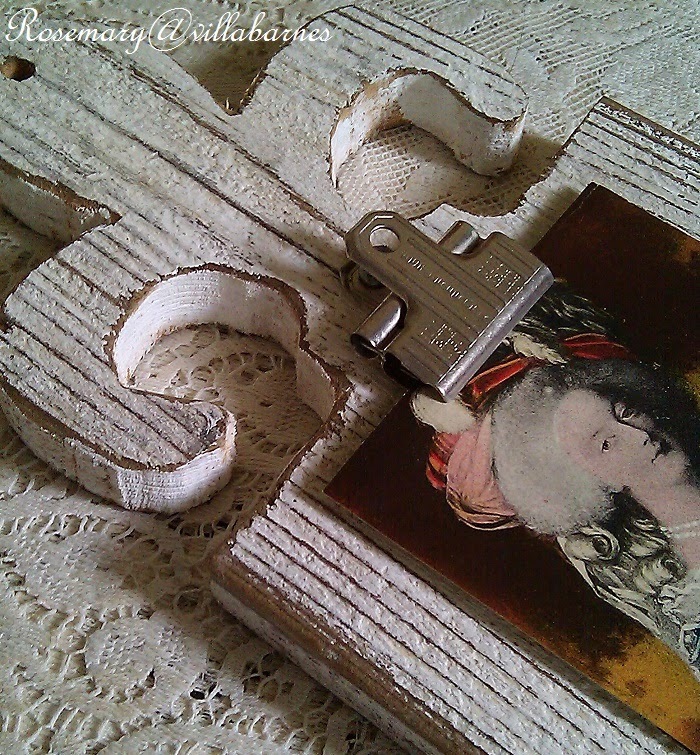 Making a bunch for the 3 French Hens French Country Market next month, and, Etsy. Really cool idea Rosemary. I think you're the hardest working woman I know! Always such clever and creative ideas, I adore your style and your art. What a cute idea and it turned out totally beautiful! 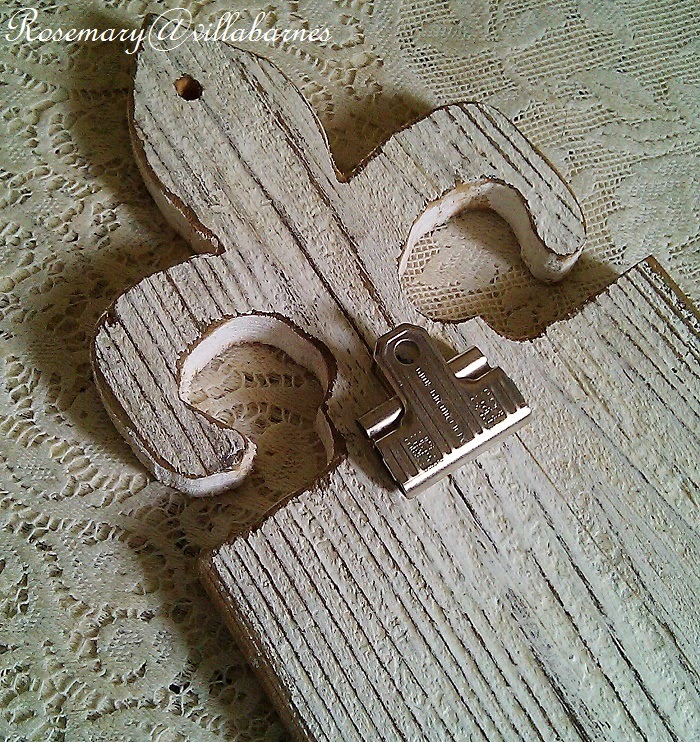 What a charming and unique clipboard.. People will love them. You always think outside the box! Your ideas are always fresh and inspiring.. Very nice! 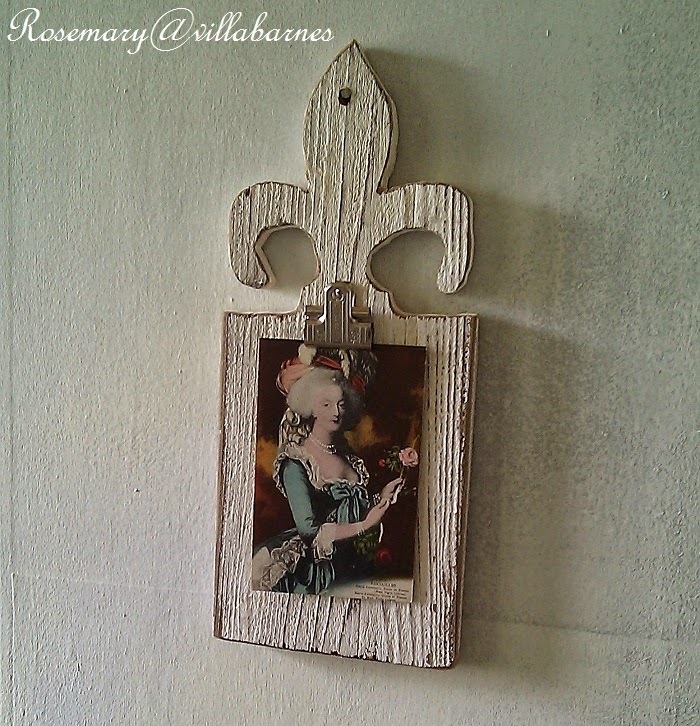 I love this, Rosemary! As I told you before, I would like to borrow your brain!! Lol You constantly amaze me!!! This is awesome! Absolutely love it. How big is it & what type of wood (salvaged wood) did you use? This was a few years ago. It was a piece of fencing, and, if I recall about 12-14 inches long.